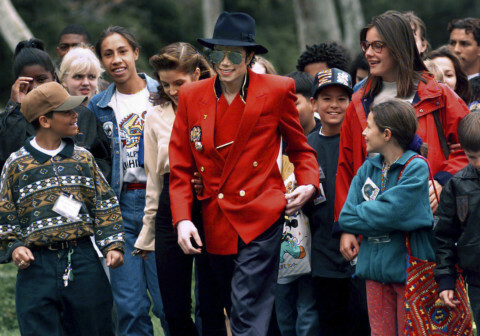 The co-executor of Michael Jackson’s estate said that he’s confident the late superstar’s supporters will be able to protect his legacy in the wake of an HBO documentary featuring the disturbing stories of two men who say Jackson sexually abused them as boys. “People love Michael. They love Michael’s music for sure. And if the investigation is effective, which I think it will be, in showing that there is severe doubt about what may or may not have happened, we will be back to people feeling ‘It’s OK to say I like Michael,’” Branca said on a panel hosted by the Harvard Institute of Politics. It’s the latest attack by Jackson’s estate against ‘Leaving Neverland’, featuring Wade Robson and James Safechuck. The estate has slammed filmmakers for not interviewing any of Jackson’s family members or other defenders, who insist the singer never molested a child. A lawyer for the men said that Branca and lawyers for Jackson’s estate are seeking to discredit the singer’s accusers out of their own financial interest.